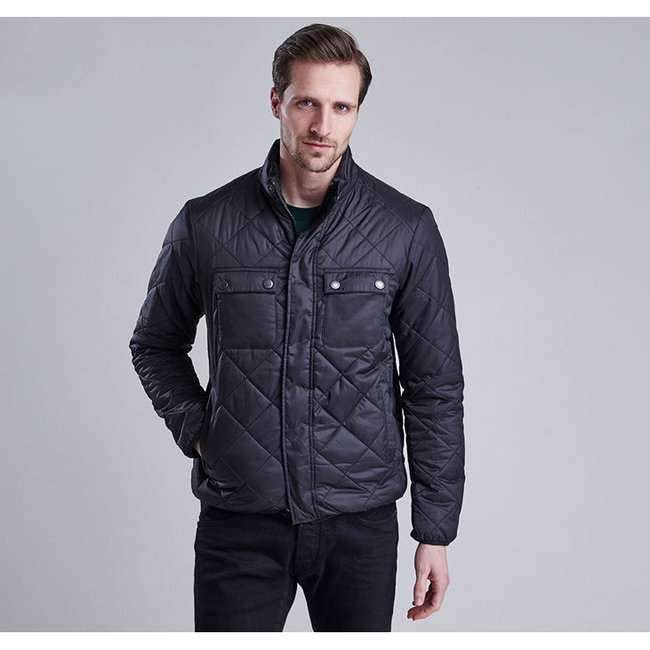 The incredible warmth offered by this biker-inspired men's quilted jacket is belied by its lightweight, packable construction. Features Barbour International's signature stud-close chest pockets and branded trims. Back length: 65.8–70.6cm | 26–28"
The size I ordered was a 3X... What I got was no where near a 3X. It wouldn't even fit my dad who where's a 2X. A beautiful jacket and so well made, even has the yoke in the back panel just like the originals. I am always worried about sizing in internet shopping as I'm a big lad now, 54" chest and normally size guides are useless but this one is spot on. It arrived only 2 days after I ordered it and when i pout it on oh the delight of having a perfect fit (4xl). It even has the button fastening collar. I am really pleased with this jacket and when you realise it cost less than I paid in the 1970's. fantastic value and great product. My wife says it is the smartest jacket she has ever seen me in.